We all can breathe a little easier. Our family includes our two rescue cats, Karma and Kismet, we all love our fur babies dearly, however, the cat litter gets no love from us. The cat litter situation can become absolutely disrespectful, especially with a 2 cats for one cat litter arrangement. Raise those paws up high if you dream of the day when cats can be potty trained on their own cat-sized, flushable cat potties. I wish big, fortunately, Litter Genie has come to the rescue, no wishes necessary. Our cats are ready to unite with cats all around the world with a furry paws-up farewell salute to #StopCatLitterSmell. Thank you to the teams from Litter Genie and BrandBacker for the courtesy of providing a promotional item for editorial #LitterGenie content purposes. Our family is ecstatic to discover that Litter Genie fulfills the wishes of many cat lovers, like ourselves, with a convenient, compact cat litter disposal system. Simple to use, Litter Genie features an enclosed pail capable of holding up to two weeks of one cat's litter stored away within their seven-layer refill bags. Reducing the dreaded journeys to our outdoor trash cans, those disgusting germs and odors are locked away with an air-tight, odor barrier technology. Our cat litter is stored in the hallway just at the top of our staircase, the odor from our two cats litter threatens to knock us back down the stairs some day. It's powerful, in a not-so-good way. 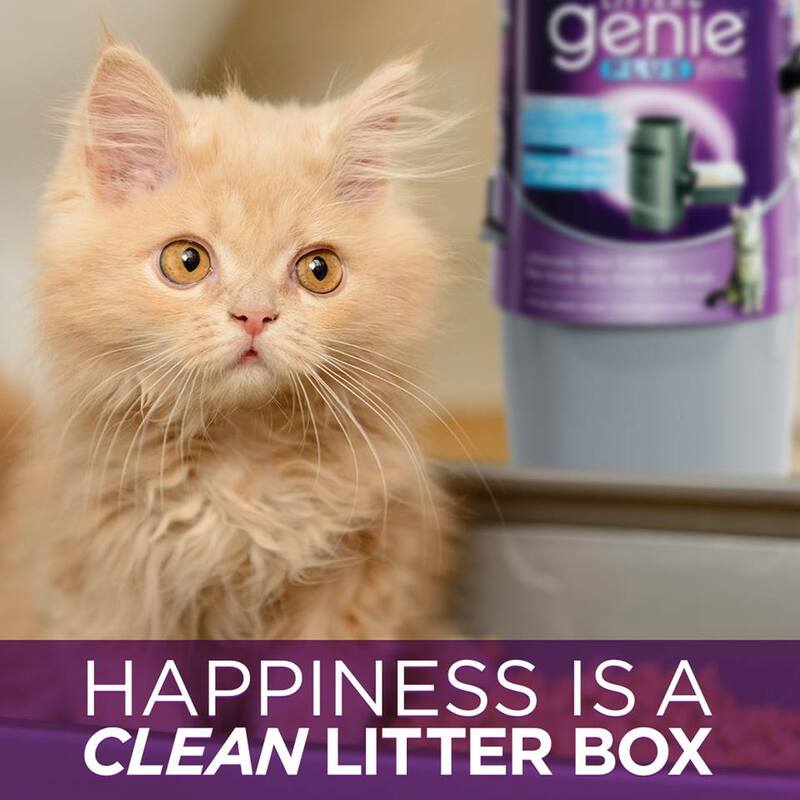 Litter Genie is created using a unique design and innovative technology for a simple, efficient cat litter disposal system that will have us all waving a farewell salute to offensive cat litter smell. Making life simple and controlling cat litter odor, Litter Genie Cat Litter Disposal System works in three simple steps. First, scoop away cat litter clumps as usual. Then, the open the Litter Genie lid to empty clumps inside. 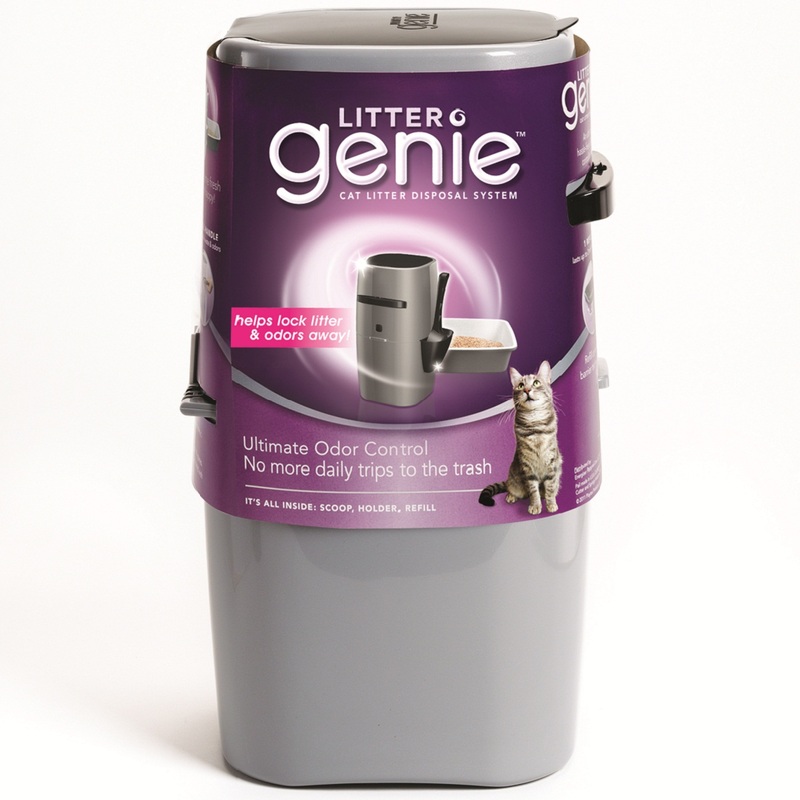 Lastly, simply pull the Litter Genie handle to seal in waste and odors. Once the bag is full (up to two weeks for one cat's litter), cut and tie the bag for disposal. Get ready to #StopCatLitterSmell at LitterGenie.com, Facebook, Instagram, and Twitter.